The following agreement holds all program participants to a unified list of expectations for student participation in a Rutgers Global study abroad program. Once enrolled, all students, regardless of their home institution, are considered Rutgers students. View the full Participation Agreement here or below. I am responsible for reading all the pre-departure materials provided in my online program application, for attending the mandatory Pre-Departure Orientation, for submitting all required documents by the specified due dates, for following course registration instructions, and for complying with requests regarding my program enrollment. I am aware that failure to comply with the above instructions may result in my removal from the program. Given the differing conditions and unique contexts that characterize study abroad, I understand that while participating in a study abroad program I must comply with local laws and the policies and procedures of the host institution, as well as with the rules set by my program provider or faculty director. Within each country and host culture, there will be a set of cultural norms that I must respect and laws I must abide by. I agree to conduct myself as a responsible member of the Rutgers University community. To that end, I am responsible for reading the Rutgers University Code of Student Conduct before departure on this program. I agree to observe standards of conduct that support the academic goals of the program including, but not limited to, being respectful of all participants, faculty and staff of the program, as well as others with whom I interact while abroad; refraining from behavior that would jeopardize the health, safety, or welfare of myself or others; and maintaining the cohesion of the program. In the event of violation of the Code of Student Conduct or other University policy, Rutgers Global–Study Abroad, at its discretion, may convene a formal inquiry or conduct appropriate due process proceedings upon my return to Rutgers University. While participating in this program, I am responsible for knowing and adhering to all (a) local laws, (b) host institution policies/procedures, (c) rules set by the provider program or faculty director, (d) terms of this agreement and (e) Rutgers University policies (together, the “Rules”). Any reported violation of any Rule, as determined in the sole discretion of Rutgers Global-Study Abroad, may result in disciplinary sanction, up to and including immediate dismissal from the program. I understand that such dismissal would result in the loss of all academic credit and would terminate my status as a program participant. I also understand that if dismissed, I will not be allowed to remain in program or university facilities (such as housing), travel with the program, or participate in any program group activities. I also understand that if dismissed from the program, the costs of my departure are my responsibility, and I will not be entitled to any refunds and will remain responsible for costs incurred on my behalf. I am responsible for my own safety and well-being, including instances during which I am traveling independently. I understand that Rutgers University cannot be held responsible for an illness or injury to my person, or damage or loss of my property. I consent to and understand that Rutgers Global–Study Abroad will be sharing information regarding my participation in this study abroad program with necessary and appropriate offices, departments, or units on campus, such as, but not limited to, financial aid, student accounting, student affairs, the Registrar’s Office, CAPS, Disability Services, and the Dean of Students. I also consent to and am aware information can be shared with program contacts, faculty directors, and any entity providing services for my chosen study abroad program. It is my responsibility to attend all scheduled courses, take all examinations, and complete all coursework required by my program. I will enroll in the required minimum number of credits as specified in my program brochure and outlined by my host university. Unless otherwise specified in the syllabus provided by my program director or by an instructor at my host university, I am responsible for attending all of my classes and excursions except in the event of illness or extraordinary circumstances beyond my control. I will complete or make-up any coursework I may miss as a result of being absent. Visits from family and friends are not an excuse to miss class. I am to remain in attendance at my host university or on my program for the duration specified on the program webpage or my host university, unless otherwise arranged through Rutgers Global–Study Abroad before the start of the program. It is my responsibility to secure the necessary approvals for each course I intend to take that requires a course equivalency evaluation. I will actively work with my academic advisor/department head/chair/dean on all curriculum matters relating to my degree progress. For faculty-led programs: Curriculum offered as a part of a faculty led program has been designated for specific departmental credit. If I wish to count these courses towards any other department’s curriculum, I must complete a Course Equivalency Form, which can be found under the Materials section of my online application. For non-faculty-led programs: I am responsible for submitting a Course Equivalency Form in order for the courses I take abroad to count for major, minor and/or general education courses at Rutgers. An Academic Dean or Chair of my department must approve the courses I take abroad to count for equivalencies at Rutgers University, and I am responsible for meeting with them to receive advising and the required signatures. I understand that if I take courses without prior approval by my academic department that the class credits may not be applicable towards my degree(s). I acknowledge that my deposit secures my space in the program and I will not be considered a participant in the program until my deposit is paid. I understand that once paid, my program deposit is non-refundable and cannot be transferred to another program or term. I agree to pay my non-refundable program deposit in accordance with the timeline set by Rutgers Global–Study Abroad. It is my responsibility to understand the costs associated with this program, including both billable and non-billable expenses. I understand that the “estimated in-country costs” for each program are estimates only, not fixed prices, and are provided to guide students in planning. I understand that I am responsible for the full and timely payment of the billable costs for my study abroad program. I understand that I am responsible for reviewing my term bill and registration for accuracy. I am responsible for paying my term bill and confirming my attendance by the due date on my term bill. Failure to do so, may result in deregistration and/or loss of program credits. Deregistration, does not absolve me of any previous billed or future charges. I understand and agree that my participation in a study abroad program offered by Rutgers Global–Study Abroad is contingent upon making all of the necessary payments, and submitting all of the required documentation, by the specified due dates. I further understand that my spot in the program is not confirmed until required payments have been made, and the necessary documentation has been submitted. I understand and agree that if I terminate my participation, or otherwise withdraw from the program for any reason, I will be responsible for any and all costs and expenses associated with studying abroad and my program application. I further understand that if I terminate my program participation while abroad, I am responsible for any costs associated with returning home and I will receive no refund of tuition, administrative fees, or living expenses. After you have been accepted to a study abroad program and paid the required deposit, you are considered an enrolled participant in that program. By making such payment you are expressing your intention to participate in the program, you are acknowledging that the deposit is non-refundable, and you are recognizing that you will be held responsible for some or all of the full program fee, even if ultimately you do not participate in the program, depending on when you formally withdraw from the program. 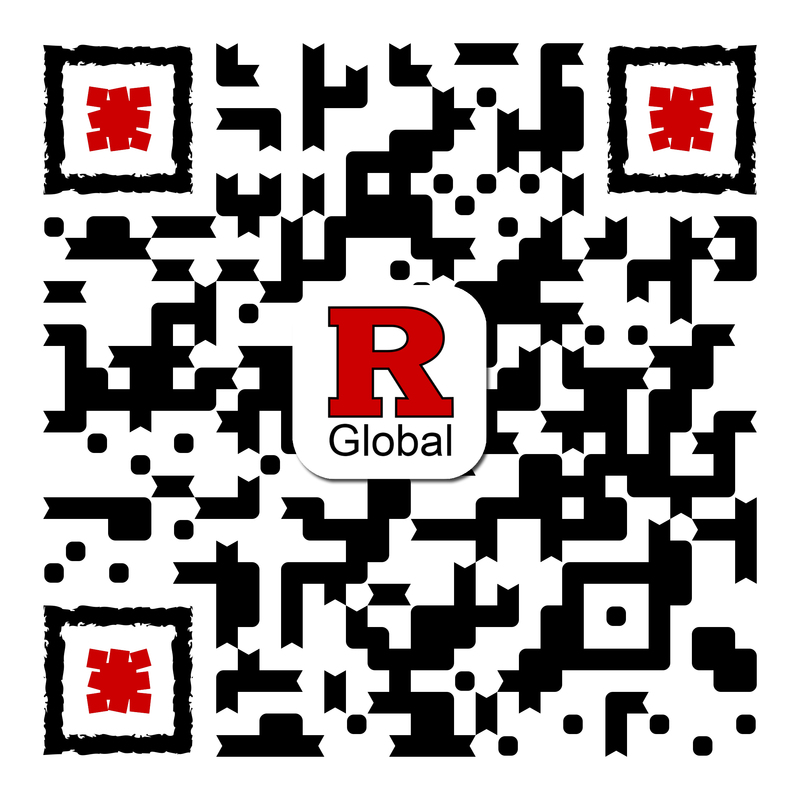 Speak with Rutgers Global–Study Abroad, specifically your Study Abroad advisor. We may be able to help you find a way to still participate, even if withdrawing seems inevitable. Review the withdrawal timelines and financial obligations below. Remember: Program deposits are non-refundable. If after speaking with Rutgers Global–Study Abroad, you still intend to withdraw, students must fill out and sign the Withdrawal Form. Withdrawals are not considered official and valid until a completed Withdrawal Form is received. Withdrawals will be effective on the date we receive (via email) your official Withdrawal Form. While traveling and living abroad, I will be subject to the laws of my host country and I agree to comply with those laws. I understand that I am fully responsible for any consequences of not following those laws. I will have my primary care physician, or a physician utilized through Rutgers Health Services, complete my Physician’s Medical Information Form. I understand that I am responsible for ensuring this form is completed and submitted to Rutgers Global–Study Abroad on or before the due date specified in my program application. I am aware that not submitting the form can jeopardize my participation in the program. Possession or use of illegal drugs while abroad is prohibited. I am aware that in many countries, the penalty for the possession or use of illegal drugs can include arrest and/or imprisonment and that drug laws can vary from country to country. In the event I am arrested and/or imprisoned for possessing and/or using illegal drugs, neither Rutgers University, my host university, nor the American Embassy will be able to intervene. I agree that I will not buy, sell, or use illegal drugs at any time during my program participation. Rutgers University prohibits the illegal or irresponsible use of alcohol by students. It is my responsibility to know the risks associated with alcohol use and abuse. It is my responsibility to know the local and national laws of the countries where I will live and travel while abroad with respect to the possession, use, and abuse of alcohol, as these laws may differ significantly from those in my home country. If I am of legal age and choose to consume alcohol abroad, I understand that I am expected to behave responsibly. The illegal or excessive consumption of alcohol or misconduct due to alcohol consumption may result in disciplinary action from my host university and/or Rutgers University including, but not limited to, dismissal from my program. I am responsible for any expenses incurred from legal ramifications as a result of illegal or excessive alcohol use or misconduct as a result of said use. I understand that there are inherent risks associated with living in a foreign country and activities related to international study that may result in injury, illness, or loss including, but not limited to, local and international travel; weather and other natural disasters; medical and healthcare related issues; political, social, and economic instability; and crime and public safety. The Rutgers Global–Study Abroad staff will make every reasonable accommodation to prepare me for the hazards and risks associated with studying abroad. I agree that I have a personal obligation to take precautions to safeguard my health and safety while abroad. As a condition of my acceptance, I am responsible for completing the Sakai Health and Safety Orientation prior to departing for my program. I will have my primary care physician, or a physician utilized through Rutgers Health Services, complete my Physician’s Medical Information Form. I understand that I am responsible for ensuring this form is completed and submitted to the Rutgers Global–Study Abroad office on or before the due date specified in my program application. I am aware that not submitting the form can jeopardize my participation in the program. It is at my responsibility to disclose whether or not I need accommodations for a disability by completing the relevant questionnaire in my online application. Rutgers reserves the right to request documentation of the disability in order to plan accommodations accordingly. I am aware that the access to accommodations varies by country and that my case may need to be discussed with my Study Abroad Advisor and the Rutgers Office of Disability Services. Though rare, serious illnesses and injuries can occur during participation in international travel. Should I experience illness or injury while abroad, I will obtain appropriate medical care and alert my program director or liaison. Any expenses incurred due to illness or injury are my responsibility. I have noted the section below on International SOS Health Insurance. In the event of a medical emergency, I give Rutgers Global–Study Abroad permission to notify my designated emergency contacts. All students participating in a Rutgers Global–Study Abroad program will be covered by International Health Insurance for the duration of the program. I am responsible for familiarizing myself with this insurance and proactively planning for my health and safety while abroad. As a responsible program participant, I will identify and address any medical needs with my home health care team and use the recommendations of I-SOS to establish the continuance of care while abroad. I understand for care and coverage, I must make contact with I-SOS for approved clinics, hospitals, and medical professionals before seeking care. While the medical insurance plan is comprehensive, I understand that in some cases and at some facilities I may need to pay out-of-pocket and seek subsequent reimbursement, following the procedures and policies outlined by ISOS. I-SOS does not cover any US-based medical needs. I understand that it is strongly recommended that I maintain a US-based health insurance policy while abroad in the event of a major medical emergency. I am responsible for securing appropriate travel arrangements that will allow me to arrive in my host country by the specified program start date. I am aware that full participation in a program includes any orientation given by my host university, program provider, or faculty director, and I may be required to arrive in country before the official class start date. I understand I am required to upload my flight itinerary information to my Rutgers Global–Study Abroad application page prior to departing for my program. I further understand that I should only book a flight after receiving an official acceptance letter or email from my host university or program advisor and the academic dates have been confirmed. If I should book a flight without this proof of acceptance and/or program confirmation, Rutgers Global–Study Abroad is not responsible for any fees associated with cancelling or changing the flight. I am responsible for obtaining all documents necessary to successfully travel, study, and live abroad for the entire duration of my program. Travel documents include a valid passport, all applicable entry visas, endorsements, and any other documents that my host country may require. I am aware that the host country may at any time change entry visa requirements and application procedures. I am responsible for obtaining the most up-to-date visa information via the consulate website of my host country. Denial of or failure to obtain the necessary immigration documents does not release me from any financial obligation to the program. While advisement may be incorporated as part of my pre-departure preparation, I will research, plan accordingly, and be responsible for obtaining these documents. My participation may allow for opportunities for independent travel and/or free time. During these free periods or on any independent travel before or after the program, my activity will not be supervised by program faculty or staff. I acknowledge that there are certain risks associated with traveling, and understand that I am solely responsible for any injury/illness to my person and losses/damages to my property while traveling independently. I am responsible for registering with the appropriate university system any independent travel that I undertake during the duration of my program. I understand that any independent travel arranged will be at my own expense.